Having adequate and safe electricity in your office building or enterprise is important to your business. That’s the reason why it is important to choose a trusted electric company to take care of your electrical needs. Western Edge Electric provides commercial electric solutions that fit your specific needs and requirements. Every service we provide are done with the utmost level of integrity and are services you can count on. The services we provide in this area happen to include climate controls, back-up power, energy-efficient lighting, wireless networks, fiber optics, telecommunications and security systems. We also ensure that the system controls that are done work cohesively together to make sure that you have the most energy efficient building that gives you the ultimate performance you can have. 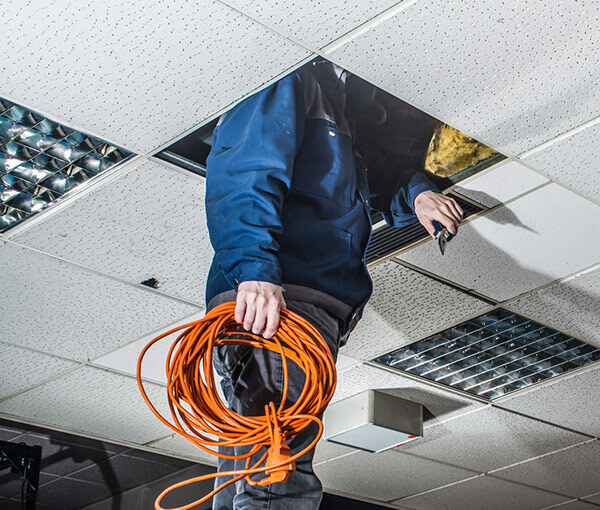 From simple outlet installations to lighting and complete renovations with a focus on energy efficiency, Western Edge Electric has what it takes to help you achieve the perfect environment for the success of your business. Because how important the safety and security of your employees and customers in your business are, Western Edge Electric can help you address all of your safety and security needs, including security lights, motion detectors, backup generators, maintenance agreements, and more! We have all the right machinery and proper technique to put in trenches for you. We don’t just dig anywhere; we make sure that trenches are going in the proper place that will be most efficient for you and that work the best. Repairs are sometimes needed, and being the contractors that we are we can do your service repairs with ease. We could repair fire safety smoke and carbon monoxide detectors, house surge protection, indoor and outdoor lighting and more. Serving Bismarck in North Dakota and surrounding areas. © 2017 Western Edge Electric Inc. Website by Arvig® | SmartSearch.